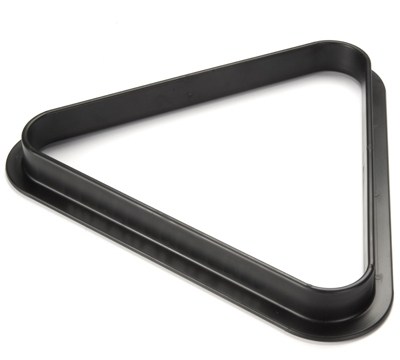 30-300 – Heavy-Duty Solid Molded Triangle, 2 1/4"
Our 8-ball rack is constructed of reinforced material with thick walls so the rack doesn't flex and the balls rack tightly. This rack also has a beveled interior, so the balls rack tightly from side-to-side and are seated properly. A wider lip makes it easy to lift the rack off without disturbing the balls. 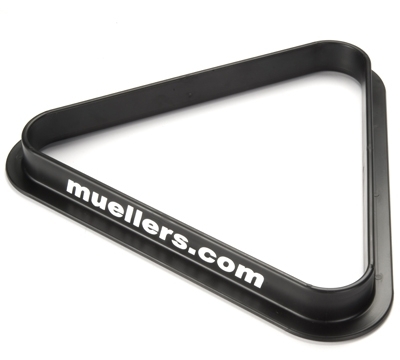 Available in either solid black or with the "muellers.com" logo.